Most parent visa applicants face a long wait. 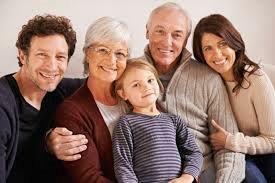 It can take anywhere up to 50 years to be approved for a parent visa in Australia. There are two main parent visa categories: non-contributory and contributory. Non-contributory visas include the permanent subclasses 103 and 804 visas. These types of visas are the most affordable option but come with the downside of an extremely long wait. Contributory visas fall into subclasses 143, 173, 864, and 884. Subclasses 143 and 864 are permanent visas while subclasses 173 and 884 are two-year temporary visas. These visas are much faster to process but significantly more expensive. The chief difference between two types of parent visas is how much money you're prepared to spend. The slow way is particularly slow. It takes up to 50 years. The quick ways involve costs of between $45, 000 and $55, 000 overall per parent which is very expensive which is why some people elect the slow way." Non-contributory visas cost around $3, 900 for the main applicant and $2, 000 for the dependant spouse. One of the main issue of non-contributory parent visa is you have to pass the health and character tests both at the time when you apply and at the time of the grant of the visa. Parent visa applicants could be caught out many years after they apply for their visa if they experience health issues. Contributory visas are much faster to get, costing over $47, 000 per parent. These visas are granted within two years. Not all families can afford to pay over $100, 000 to bring both parents over as permanent residents. However, there is a compromised fast route available. The parents can apply for 173 or 884 temporary visa category, which only initially cost them $29, 130. Then they have two years to live in Australia. They have access to Medicare system as well and they have full time work rights. This option allows temporary residents to save up for the additional $19, 000 required to switch to a permanent subclass 143 visa within the two year period. The application process is similar for both non-contributory and contributory visas. Parent visa applicants need a sponsor who is an Australian citizen, permanent resident or eligible New Zealand citizen. The sponsor has be settled in Australia for a period of two years. Sponsors can bring that forward if they can show you're really permanently settled here. Visa applicants must also satisfy the balance of family test. What that really means is they have to show most of their children live in Australia. For example, if you've got three children, you need to show two of them have residency and live in Australia. If it's the other way round, if you've got one here and two overseas, you won't be eligible. If it's equal, one child here, one child overseas, that's sufficient for visa to go through. Passing the health assessment is crucial. If the applicants have a health issue which is likely to cost Australia more than $40, 000 over a five year period the visa will not be granted under any circumstances. It works like this: If you have a condition such as HIV (However, HIV has been specifically excluded but it's a good example): HIV is treated inexpensively its antiretroviral you can get it from pharmacy you don't have to see the doctor all up. So having HIV doesn't mean you'll fail the test whereas something like a chronic back condition or cancer which if you need treatment it's going to be very expensive then you'll fail the test. Applicants are also required to provide an Assurance of Support. It's effectively a government bond held with Centrelink. Contributory visa applicants deposit a $10, 000 bond for the main applicant and $4, 000 for the secondary applicant. This bond stays with Centrelink for ten years. Whereas non-contributory visa applicants put in a lower amount, $5, 000 for the main applicant and $2, 000 for the secondary applicant. The bond stays with Centrelink for two years. If the parents access any government assistance they will deduct some of that money from the bond itself but the bond actually accrues a bit of interest as well from the bank. There are approximately 40 thousand parents on the lower cost visa waiting list for the slower non-contributory visas. With only 1500 visa places offered this financial year, the Department of Immigration and Border Protection says applicants can expect a 30 year wait before visa grant consideration. While the higher cost contributory visa has 7175 open places this year - the Immigration Department estimates it will take between 12 and 24 months for these visas to be decided.